Volvo Construction Equipment (Volvo CE) introduced the G-Series L90Gz wheel loader and the DD100B double drum asphalt compactor during bauma Conexpo 2018. "With infrastructure developments increasing in India, we presented the L90Gz and the DD100B, both models provide the high performance and reliability contractors need to meet tight project deadlines," said Dimitrov Krishnan, vice president and head of Volvo CE India. The Volvo G-Series L90Gz loader with Z-bar linkage is now available in India with a BS-III certified engine, offering high torque at low rpm to ensure low fuel consumption. The wheel loaders features maximum power of 175hp at 1700 rpm, maximum breakout force of 168.7 kN, max.static tipping load of 10,380 kg at full turn, and is available with buckets ranging from 2.4 m3 to 4.5 m3. The powerful Volvo engine is part of the machine's ideally-matched all-Volvo powertrain, designed to work in perfect harmony for optimized performance. Volvo's unique Eco-pedal also helps to guarantee that fuel consumption is kept to a minimum, applying mechanical push-back force when engine rpm is about to exceed the economic operating range. Volvo CE's double drum compactors feature independent dual-frequency and multi-amplitude functionality which makes them more versatile. Furthermore, the rotating console plus the in-built automatic reversing of eccentrics means productivity is increased and the completion time is shortened. 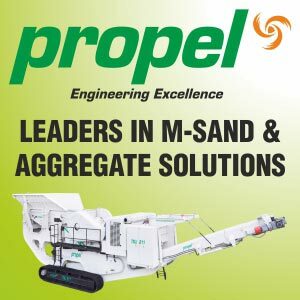 In addition, the powerful KOEL 105 HP engine delivers stronger performance and the robust design of the machine means it will work harder for longer time and giving owners a better return on their investment. The DD100 B features a rolling width of 1676 mm, vibration frequency of 42/31 hz and operating weight with heavy duty sun shade of 10,025 kg. Alongside the two new models, Volvo CE showcased a range of machinery across its product lines. Models on display include: EC200D excavator, SD110BA soil compactor, P5320B paver, EC250D crawler excavator and HB38 hydraulic breaker attachment. "The range of earthmoving equipment displayed at bauma Conexpo India 2018 demonstrates how Volvo is building a better tomorrow," Krishnan said. "We also showcased the powerful performance of the EC200D during light demonstrations at the show. We introduced the machine just 12 months ago, but it's already established itself as one of the best 20-ton units in Asia." The EC200D has already delivered iron-clad performance in India for iron ore producer Geomin Industries. "With a capacity of over two million tonnes per annum, our iron ore treatment plant is one of the largest in central India," said Sandeep Dasgupta, vice president of Geomin Industries. "With rising demand for iron ore-related products, we needed a machine like the Volvo EC200D, which has shorter cycle times and outstanding lifting capabilities, to keep up productivity." Another highlight of the show from Volvo CE is the low-noise HB38 hydraulic breaker attachment, which is available for the EC380D excavator. Volvo hydraulic breakers provide consistent power, durability, and breaking force. Contractors in India can now choose from 10 of these state-of-the-art hydraulic breakers. With designs that feature the manufacturer's trademark quality and reliability, the attachments can handle even the toughest breaking and trenching jobs in mining, quarrying, demolition and construction. The range runs from the HB75, with an operating weight of 6,923 kg and a length of 4,355 mm, down to the HB14, with an operating weight of 1,012 kg and a length of 2,285 mm. Volvo CE also celebrated its 20th anniversary of serving customers in India. The company has a large and experienced team that understands the India market, and customers' needs. Volvo CE manufactures about 10 different models of construction equipment in Bangalore and some of the models are constructed from 95% of locally manufactured components. "We have a strong manufacturing base in the country, which ensures customers can procure equipment and parts locally and faster. That's backed up with strong aftermarket support from our Volvo CE customer service team and our dealer network. We pride ourself on our national team of experts who understand regional and local needs," Krishnan said.